The Government adopted Friday the text of the draft-constitutional amendments arising from the Prespa Agreement. Prime Minister Zoran Zaev presented the draft-amendments at a press conference following the Government session, saying the four amendments are simple, have nothing disputable in them and in compliance with international standards, deserving of support by all MPs for the purpose of EU and NATO integration. The first amendment refers to the replacement of word Republic of Macedonia with the Republic of North Macedonia in the Constitution, except in Article 36, where it denotes a historic aspect. The second amendment relates to the Preamble of the Constitution, where decisions of the 1944 Anti-Fascist Assembly of the National Liberation of Macedonia (ASNOM) session are replaced by the ASNOM Proclamation while the Ohrid Framework Agreement is added as the country’s constitutive element. “This is already part of the Constitution, only the wording is added, and this is fair to all less-represented communities,” said PM Zaev. One paragraph is added through the third amendment, namely that the Republic is respecting the sovereignty, territorial integrity and political independence of neighboring countries, which provides enhanced guarantees over the inviolability of borders with Greece, although it refers to all neighbors. 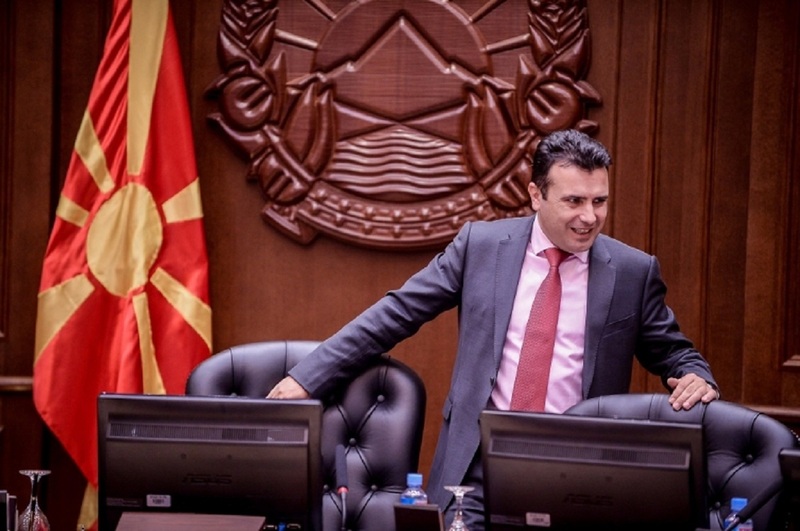 The fourth amendment, besides confirming the “Macedonian identity”, reads that the Republic protects the rights and interests of its expatriates, enhancing their ties with the homeland, said Zaev. “This refers to our diaspora, which rights and interests are still protected, but in a European manner. Article 49 has been reformulated so that it does not cause other obstacles in the future. The Republic takes care of the Macedonian expatriates and the Republic shall not interfere in the sovereign rights of other countries and their home affairs. This is simple and eliminates concerns for future obstacles in building friendship between Macedonia and Greece,” added Zaev. According to him, the proposals of the new MP group, comprised of the eight opposition deputies who voted in favor of the decision to initiate constitutional revision, have been incorporated in the draft-constitutional amendments. The draft-constitutional amendments that the Government adopted on Friday have been forwarded to the Parliament and are already checked by the staff. Parliament Speaker Talat Xhaferi has scheduled the plenary session on December 1, while the Committee on Constitutional Issues will start its work on November 7. The Speaker’s Office said the draft-constitutional amendments will be sent to all MPs once their checkup is completed. This is the second stage of the process for constitutional revision arising from the Prespa Agreement, which is to be completed by a Parliament vote that requires a simple majority of 61 votes.